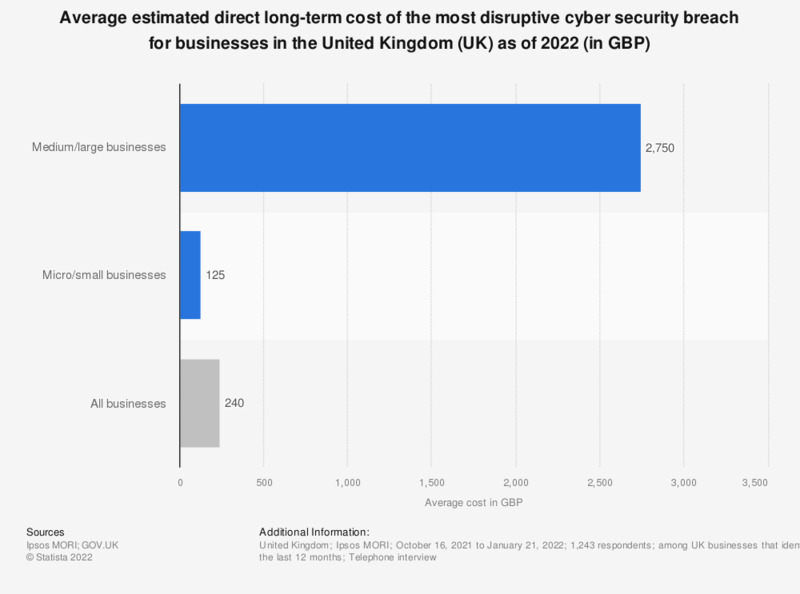 This statistic displays the average estimated long-term cost of the most disruptive cyber security breach for businesses in the United Kingdom (UK) in 2018, by business size. Large businesses reported that the average long-term cost of their most disruptive breaches amounted to 1,890 British pounds, whereas micro and small businesses reported an average long-term cost of 371 British pounds. The average direct cost, recovery cost and long-term cost of the most disruptive security breaches and the average cost of all cyber security breaches, depend heavily on the size of the business.